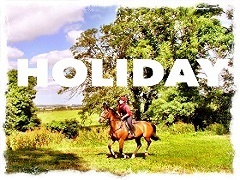 We have a range of short breaks and week long riding holidays available here in Ireland. You will be amazed how much you’ll be able to do by the end of the week! Learn to ride and take care of a horse at a relaxed and easy going pace. On this package you will learn how to approach & handle horses confidently and gain an insight into horse behaviour & instincts. It won't be long before you enjoy the Irish countryside on your trusty steed. This is also a great holiday for a little confidance boost! Explore the spectacular Dublin countryside on horseback where you are sure to see wild deer, rabbits, foxes and native Irish birdlife. Take in the scenery as you meander along winding forest paths, scaling valleys and steep climbs to the top of the hill. A breathtaking view awaits! Relax and enjoy a scenic adventure on horseback. Experience starting your trail at the site of an ancient Monastic settlement, learn about how the early Christians dealt with Viking invaders, discover a pre Christian ring fort, absorb magnificent vistas over Dublin City, Leinster and Irish Sea and enjoy some world famous Irish Storytelling as your guide winds your path through rural Ireland. Our guides love to tell stories of local history, Irish folklore and native tales. Let your imagination go wild! We are happy to tailor a package to suit you. Please fill out the contact form with some information about your perfect holiday and we will do our best to make it happen! We can even arrange for excursions to attractions in Dublin City. Arrive at your Traditional Irish B&B, rustic Self-Catering apartment or luxury 4 Star Hotel for a chance to settle in, get your bearings and perhaps enjoy a pint of the black stuff in the local Irish Pub. Relax and enjoy your evening! After a hearty traditional Irish Breakfast, arrive in plenty of time for a warm Irish welcome and chance to meet your trusty steed for the week! Enjoy an Introductory Lesson and get your first proper look at the awe inspiring Irish Landscape during our famous Castlefield Trail Ride starting at the site of an ancient 7th Century Celtic Monastery. Meet the rest of the group during orientation and get to know them better during your included lunches in our Loft Café. Imagine starting your riding trail at the last standing section of an Ancient Monastic Site, following a winding path through Coolmine Equestrian's 80 acre estate, through streams, over jumps and through marshy land with breath-taking views of Dublin city and the Bay below, looking North to the Famous Hill of Tara. Continue on to explore the old Stony Lane Trail from Dublin to Kildare and image what it was like to ride your horse past the historic farms and houses of bygone Ireland. Relax and relate your adventures during lunch with the group before embarking on the Excursion to the Irish National Stud, Japanese Gardens, Kildare Village, Glendalough, Guinness Brewery or another famous site of great historic significance. Hope you had a hearty breakfast! It’s time for the Full Day Trail Ride to Slieve Thoul. Ride through Lynch Park before climbing upward to venture through the Dublin Mountains Forest with breath-taking views of Dublin city and the Bay below, looking North to the Famous Hill of Tara. Maybe take a moment to take it all in at our scenic picnic area over lunch on the trail! Conclude your week of equestrian activities with the fabulous Knocknadrinna Half Day Trail Ride. What better way to see the Irish countryside, Forest trails and Dublin Mountains with breath taking views over 5 counties all the way to the Northern Irish boarder and Irish Sea. After lunch visit the famous Avoca Handweavers Merchant and Restaurant for some souvenir ideas! Or enjoy some well-earned pampering with a massage and prepare for your final night shindig with a beauty treatment! Included Group Dinner & Entertainment at a historic public house. Enjoy traditional Irish Music and a pint - Sláinte! Bid farewell to Ireland – Travel Day or take a tour and explore nearby Glendalough, Hill of Tara or Dublin City. Slán go Foill! Celebrate St Patrick’s Day in style! 3 Day, 3 Night Paddy’s Day Adventure. 1 Introductory Lesson & Trail Ride, 1 Stable Management Seminar, 2 Lunches & Enjoy the St Patrick’s Day Parade in Dublin’s Fair City! Partake in the annual Royal Dublin Horse Show and watch top international riders compete for the Cup. And.. do some horse riding with us too! 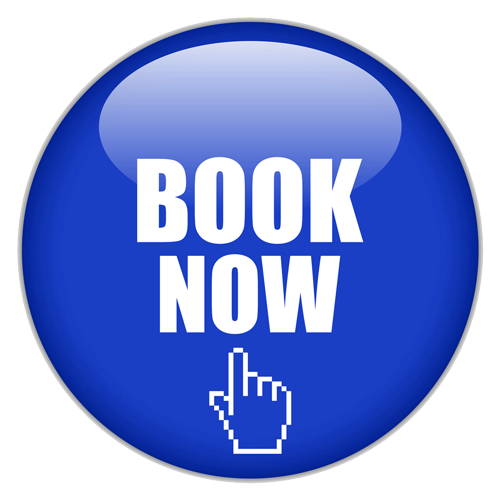 Arrive Sunday Afternoon, 1 Introductory Lesson & Trail Ride, 1 Full Day Trail Ride, 1 Half Day Trail Ride, 1 Stable Management Seminar, 2 Lunches, 1 Escorted Trip & Entry to the Opening Day of the Royal Dublin Horse Show! You will be amazed how much you’ll be able to do by the end of the week! Relax, Revitalise & commune with Nature. Refresh your body and your mind with Yoga, Art, Literature, Archery & Meditation classes. Exploring the green, fresh Irish Countryside on foot and on horseback. Admire the spectacular views over Dublin and much of Leinster. Relax in the long grass with a good book & glass of wine. Try your hand at painting the spectacular scenery or practise sketching horses grazing. Find your centre and restore your inner balance with Yoga and meditation classes. Focus on achieving your goals and hitting your targets in Archery. Breathe in the fresh country air and let your mount take you through the majestic mountain trails. Practise the relaxing grooming ritual and bonding experience with your horse.